​​One backpack filled with school supplies costs $20. 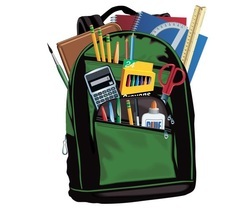 Over 95% of all monetary donations go to buying school supplies. Today the project provides supplies to only about 25% of the children on free and reduced lunches. Help us expand our coverage. ​The children appreciate your help! To donate by credit or debit card, click the button below. 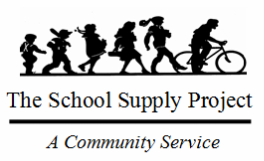 ​To donate by check, mail a check made out to "The School Supply Project" to 1919 Independence Parkway, Plano, TX 75075.